One of the most exciting – and challenging – parts of planning the perfect proposal is choosing a ring. With so many options and a growing number of popular wedding ring designs, it’s easy to feel overwhelmed at the seemingly endless possibilities. The good news is that with so many design options, you’ll surely be able to find the perfect ring to fit your future bride’s style and personality. Whether your bride-to-be is a classic, traditional beauty or leans towards a whimsical, unique personal style, the perfect ring for her is out there and Dominion Jewelers can make it for you. Rose Gold: Rose gold is one of the most popular jewelry trends today and it’s not likely to go out of style anytime soon. Brides who love rose gold often have romantic, feminine styles, and aren’t afraid to choose something slightly non-traditional. Vintage-Inspired Elements: A ring with vintage touches doesn’t have to look outdated; in fact, the right vintage inspiration can actually have a very modern look. 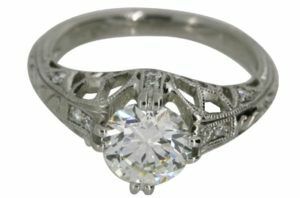 Art deco and Victorian elements can be a great way to set your bride’s ring apart. Mixed Metals: Gone are the days when all-yellow gold was your only option. Now, weaving together yellow, white, and even shades of rose gold has become a creative way to create something different. Stacking Bands: Stackable rings allow for maximum customization, allowing your bride to add to rings that signify anything from life milestones to special anniversaries to her collection little by little over the years. Colorful Diamonds: As beautiful as a classic white diamond may be, some brides love the uniqueness of a pink, chocolate, or yellow diamond – especially those with particularly colorful personalities. 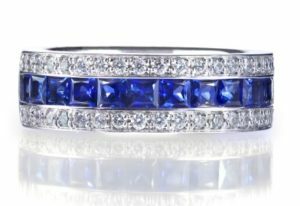 One option is to choose a colorful diamond as the ring’s center stone and then surround it with classic white diamonds, either in a halo-style setting or on the band itself. Gemstone Accents: A large center diamond flanked by gorgeous emeralds, sapphires, or some other precious stone can truly enhance the beauty and color of any ring. 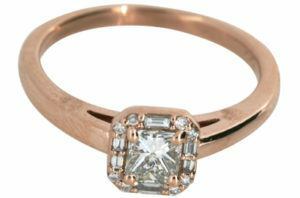 If you know your bride-to-be has a favorite gem, consider adding it as a small personal touch to her ring. 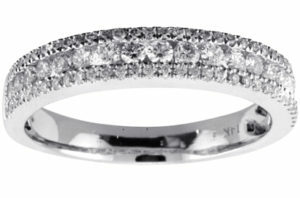 Eternity Bands: A band with diamonds wrapping all the way around the finger is called an eternity band, and for good reason. Having diamonds in an endless circle ensures that your bride can enjoy an eye-catching sparkle from every angle. 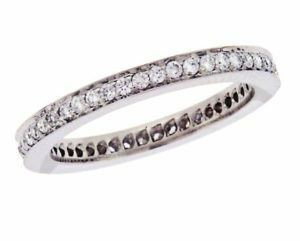 Eternity bands pair equally well with a simple solitaire or a diamond-laden, elegant ring design. 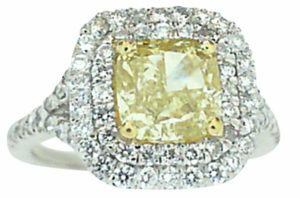 Diamond Alternatives: Some brides are looking for something unusual and less traditional than a classic diamond. There are a range of beautiful gemstones that are growing increasingly popular in wedding ring designs, including opals, pearls, sapphires, and aquamarine stones. Delicate, Understated Styles: For decades, the “bigger is better” mentality was applied to wedding ring shopping but today’s bride isn’t necessarily looking for the largest, flashiest ring. If your future spouse has a modest and simple style, she may appreciate a more understated ring such as a prong-set center stone on a plain metal band– dainty, feminine, and beautiful. 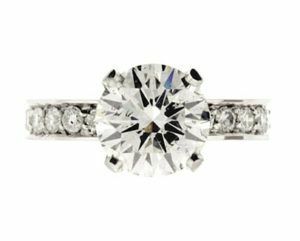 The Classic Solitaire: The solitaire ring has stood the test of time as far as ring designs are concerned, with its elegant and austere look that people with a variety tastes seem to love. 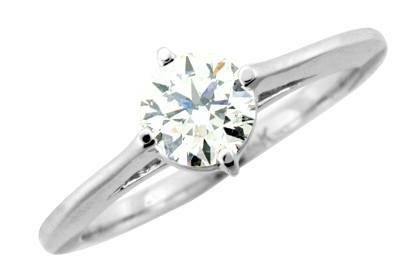 Even though it looks stunning with an accompanying simple metal band, the solitaire is also versatile. The beautiful simplicity of a solitaire gives you the option to choose a unique, complementary wedding band with a bit of flair. 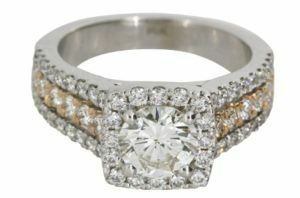 One of the most rapidly growing trends in the industry is the custom wedding ring design. 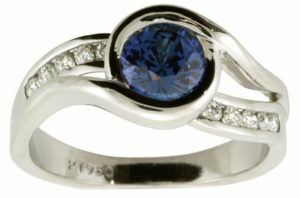 Perhaps you can’t find the perfect ring to suit your true love or you want to combine elements from a few different styles. Maybe she’s described her dream ring to you and you’re looking for a way to bring that vision to life, down to the tiniest detail. Whatever the case may be, creating your own personalized design is the perfect way to present her with a piece she’ll love for a lifetime. At Dominion Jewelers, our custom design process ensures an enjoyable, stress-free experience that will end with the real-life creation of your future bride’s dream ring. Our experienced artisans work closely with each client from the very first design sketches to the final touches on the finished product, ensuring that you have professional support and input every step of the way. By creating a custom-designed ring, you’ll be able to give your sweetheart the gift of totally unique ring unlike anything else that she, her friends, and her family have ever seen. We invite you to contact us to learn more about the custom design process or visit our boutique to browse one of the most exquisite collections of wedding rings in Northern Virginia. Whether you find the right ring in our in-house selection of designer jewelry or decide to go with a custom creation, Dominion Jewelers is happy to help you create a beautiful, perfectly personal ring for the love of your life.